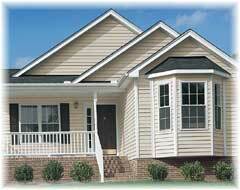 Classic siding combines the look of a hand-cut finish with maintenance free convenience. The attractive finish takes on the look of real painted wood in a wide array of available colors and profiles. Panel Projection: 1/2" or 9/16"